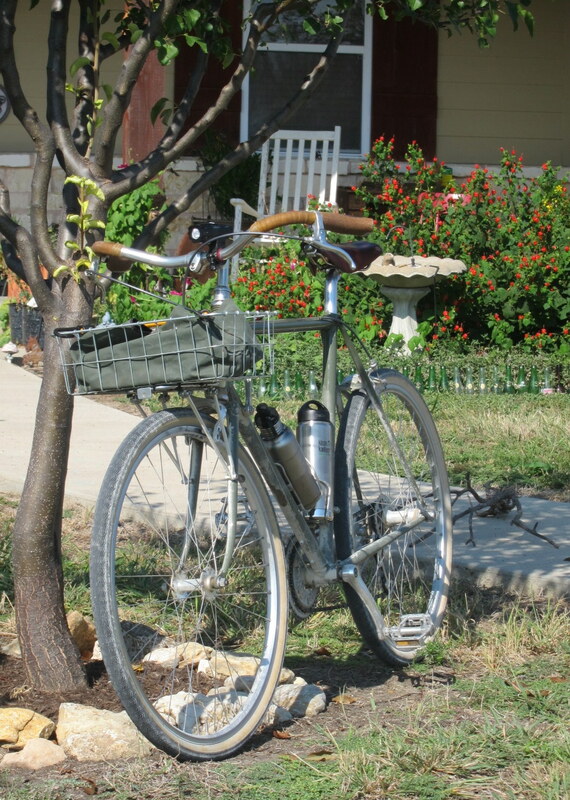 I think the first thing he said as he walked toward my front door was, “Are those bee hives?” Today I had an opportunity to serve in my capacity as “Pondero, Leisure Consultant, specializing in bicycles, hammocks, and coffee outside”. My customer’s name is John, from Arlington, Texas. 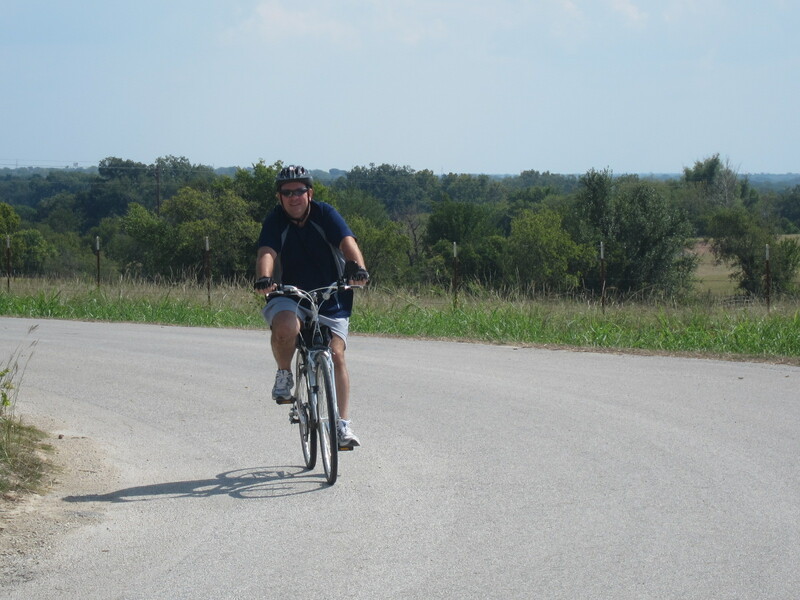 He ordered up a ride in the north Texas countryside. His usual routes include more urban and suburban settings. 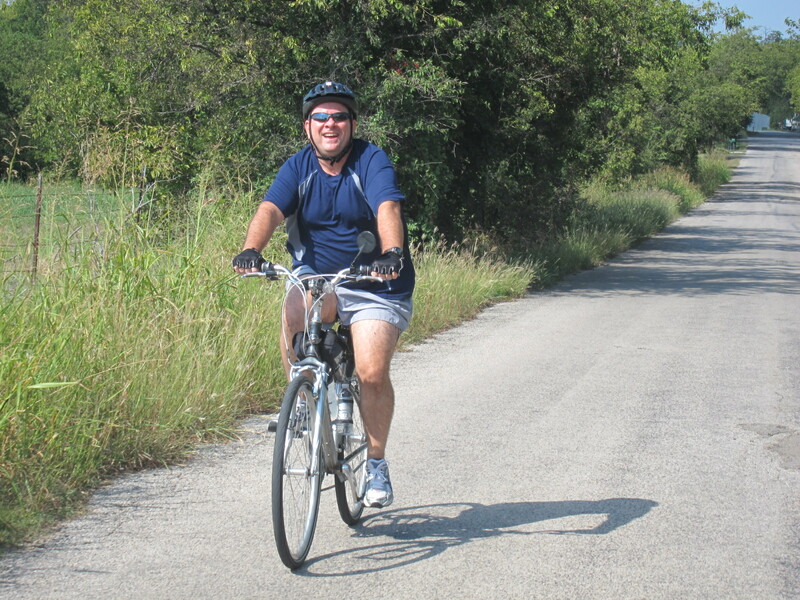 He told me he normally rides routes near his home and the trails along the Trinity River. He didn’t have all day, so we didn’t bring the hammock or coffee gear. He had an appointment with a grill and his beloved St. Louis Cardinals later in the afternoon. Still, we managed to find opportunities to stop here and there to enjoy the quiet shade and the breeze. In the photo above, I was disappointed that the spotted horses I often see along this stretch of Sam Bass Road weren’t in sight. John didn’t seem to mind. After one especially nice puff of breeze came along, he said, “This is what Saturdays are made for”. 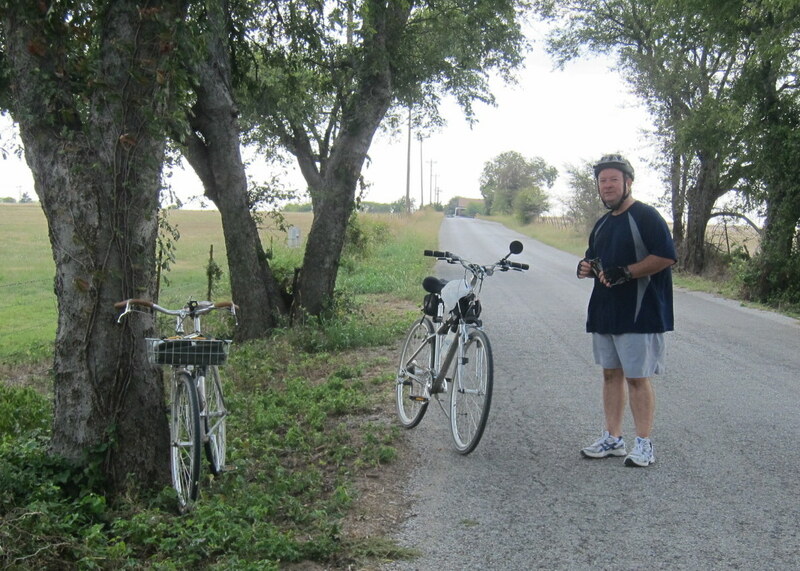 Not having a prior opportunity to prove his bike on gravel roads, John requested a mostly paved route. That’s what I delivered. 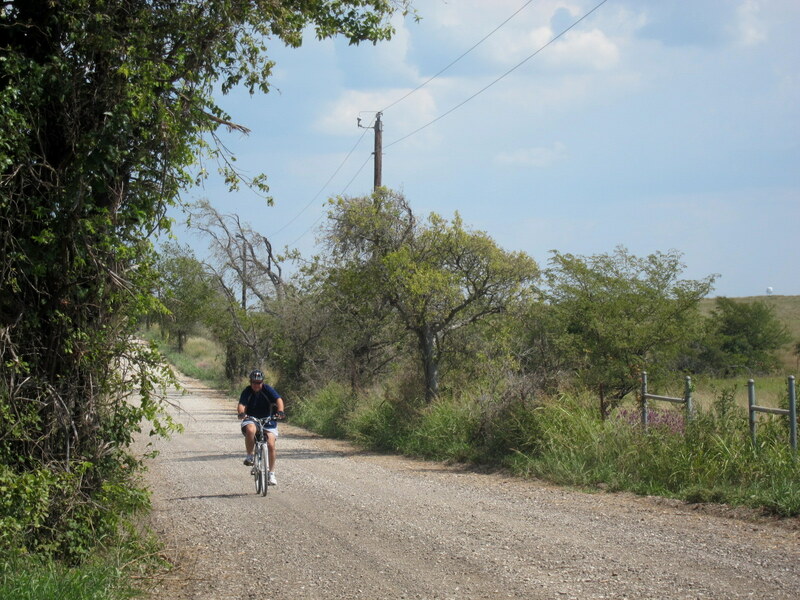 But I did sprinkle in about 10% gravel because…well…what would a ride with Pondero be without a little gravel travel? I enjoy having an opportunity to share some of my favorite routes with my friends. It is especially enjoyable when those friends are people who aren’t normally fortunate enough to ride in rural areas. John commented multiple times about the unobstructed view from some of our little hilltops. It certainly isn’t a dramatic mountain view, but it isn’t staring at your neighbors garage either. I had a great time out on the bike as usual. Today, however, I also had the extra reward of that beaming smile. One of the most fun & rewarding parts of bicycling is sharing familiar routes with new people, and their enthusiasm at seeing new turf. They always find something new that I’ve missed. You sound well on your way to some great yelp ratings! Not yet. As rewarding as those smiles are for me, I haven’t found a way to exchange them for business card preparation services. That’s a really dirty bike in the first picture. Great job! Thanks, I guess. It looks significantly worse in real life. Do I get extra points?